Classic rides, VIP guests, and one very special new sedan at the luxury automaker’s villa-slash-popup during Monterey Car Week. W.O. Bentley didn’t invent the automobile, but his contributions to motoring match those of any individual during the 20th century. He engineered supercharged cars that dominated endurance racing in the 1920s; designed great touring saloons whose interiors rivaled Rolls-Royce and Duisenberg; cultivated a network of British craftsmen to hand-built exquisite coachwork coupé bodies. Ninety-nine years after its founding, his eponymous brand recalls a time when cars represented the ultimate wedding of art and science. All that history and grandeur was on display at this year’s Monterey Car Week in California. 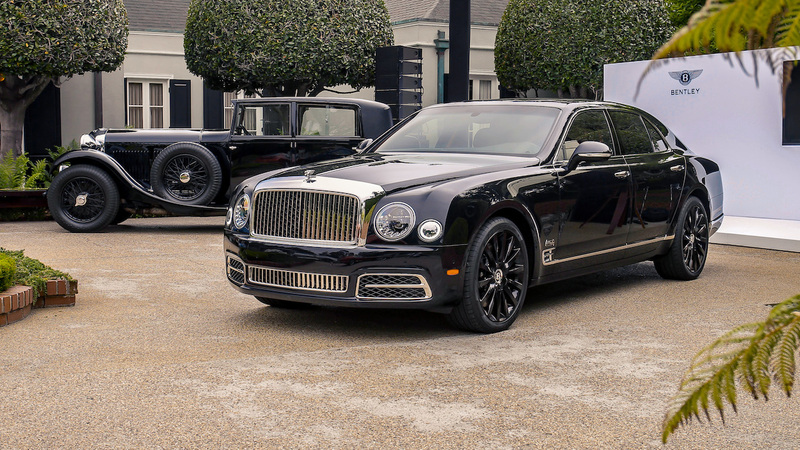 There, modern-day Bentley execs and designers gathered to show the 2019 Mulsanne W.O. 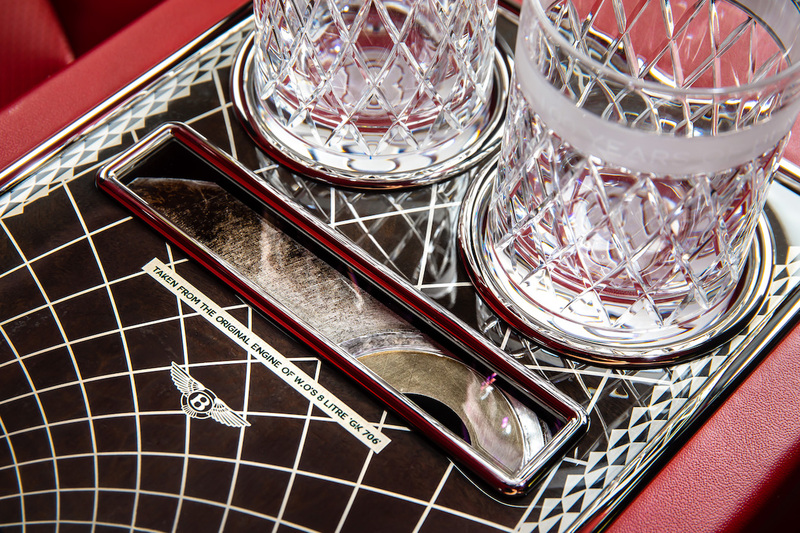 Limited Edition by Mulliner. The new sedan, created by the company’s in-house customization team and limited to 100 units, is a fitting tribute to the man. W.O.’s lifelong preoccupation with speed is represented by way of a thumping, twin-turbocharged 6.75-liter V8 engine. The interior is a stunner, offering a rear seating area that’s finished with deep-pile lambswool rugs, privacy curtains, and an independent entertainment system. But the W.O. Limited Edition cocktail cabinet is the real selling point. 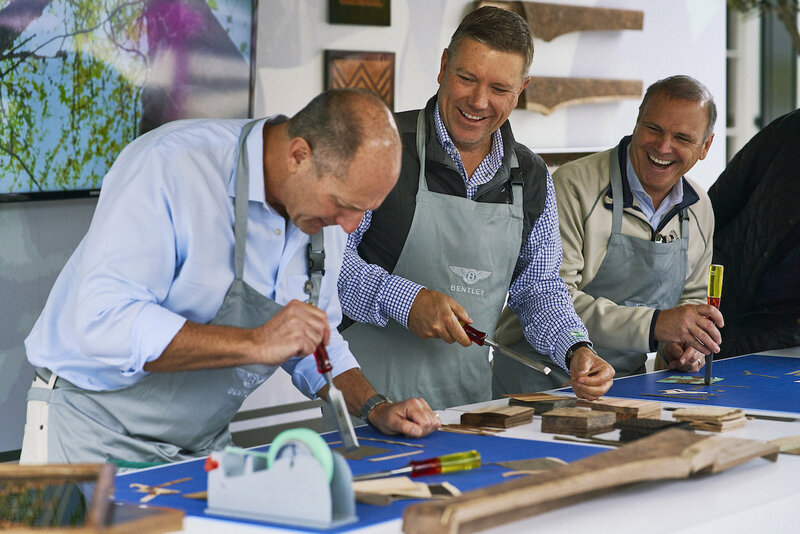 The handcrafted piece, tucked into the rear seat armrest, uses four different wood types and aluminum detailing to create a beautiful, geometric marquetry scene, which depicts the iconic Bentley 8 Litre from 1930. The design team also salvaged the crankshaft—the integral piece that rotates the pistons inside the engine—from W.O.’s personal 8 Litre car, and cut it into 100 sections for display inside this special-edition Mulsanne. 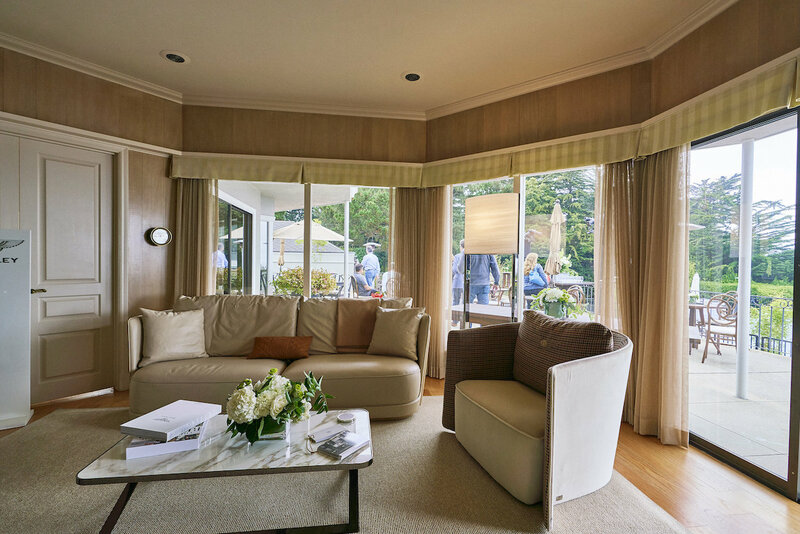 Surface caught up with Hallmark at Home of Bentley at Pebble Beach, the intimate villa-slash-popup that served as the company’s temporary headquarters during Monterey Car Week. He was joined by notable guests, including David Pearson (CEO, Opus One winery) and Richard Beaumont (Head of Krug Champagne). 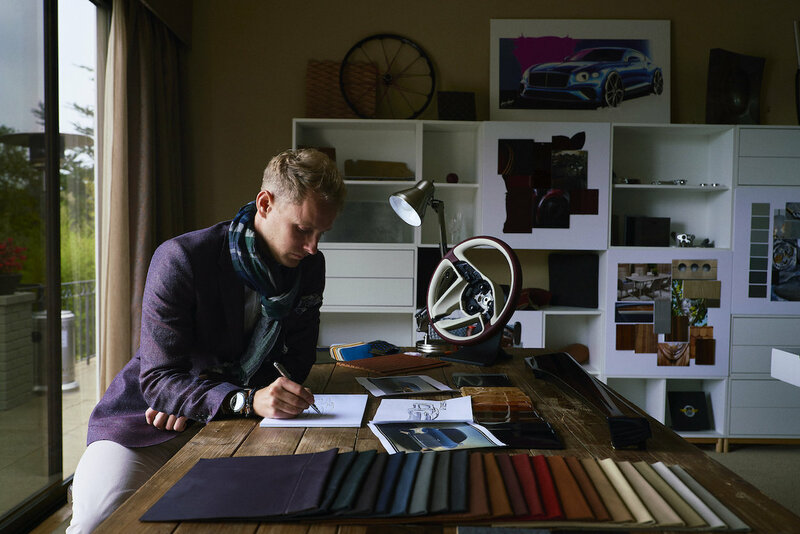 Also on-site at the Home of Bentley: an interactive virtual reality configurator for the new V8 Bentayga SUV, a woodworking shop and interior design studio, and a boutique selling everything from branded Bentley apparel to Graf von Faber-Castell fountain pens. The Home was furnished with select pieces from Bentley’s homewares collection, developed with architect Carlo Colombo and produced by Luxury Living in Italy.